Custom Design: The first step in our process starts with listening to your ideas, desires and needs. Country Cabinets will come to your home to discuss your project, review your space and go through the requirements of the project. Next, we’ll create a rendition of your project with our state-of-the-art software, complete with plan, elevation and 3D views of your cabinets. 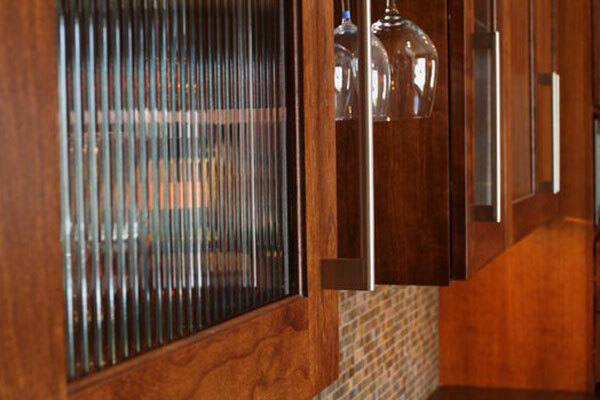 Cabinet Construction: Country Cabinets uses only the latest technology and equipment. Our CNC equipment and software ensures that all movements are extremely accurate – resulting in a level of precision that is not possible to achieve using manual equipment. Finishing & Color Matching: Using only the finest techniques, combined with our in-house color matching abilities, Country Cabinets provides you with the highest quality finish available on the market. Installation: Because we install our cabinets, Country Cabinets is able to control the entire process from start to finish, leaving you with a project that you will be proud of for years to come. Refacing: In some instances, refacing can be a cost effective way to update your look. Country Cabinets can provide new doors and update your drawer hardware for significant savings. 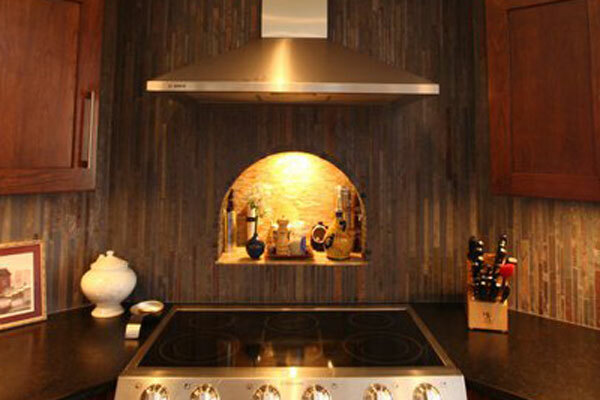 Countertops: At Country Cabinets, we manufacture our own laminate and wood countertops, as well as work with all of the major manufacturers to give you the widest selection available. 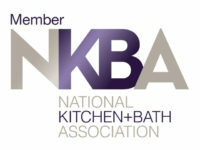 We specialize in under-mount sinks and offer several edge styles to choose from. No matter what your style, we can achieve the look you desire. All cabinets are NOT created equal. At Country Cabinets we use only the highest grade materials and follow stringent construction procedures to ensure the quality of our cabinets. We take great pride in our quality and craftsmanship. Choose Country Cabinets and you’ll see why details make all the difference. 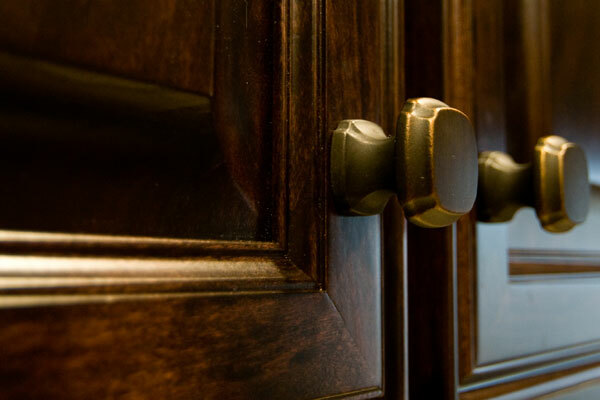 At Country Cabinets, we hand sand every finished part of the cabinetry – not just the Door and Drawer fronts. If not sanded correctly, the stain will not adhere properly resulting in a blotchy appearance. Once the cabinetry is stained, we apply our first coat. After the finish has cured, we hand sand the parts, remove the debris from the surface and apply our second coat of finish for protection. We use the Conversion Varnish at Country Cabinets. With its moisture resistant properties and built-in UV blocker, it is one of the toughest and most durable finishes made.